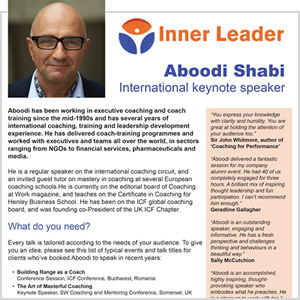 With his decades of coaching experience, Aboodi is often invited to speak at conferences and other events. 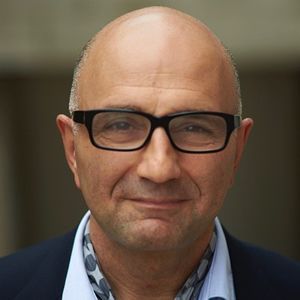 He has the ability to provoke audience members to think deeply, reflect and change. As well as imparting deep learning, he always makes his sessions engaging and fun. 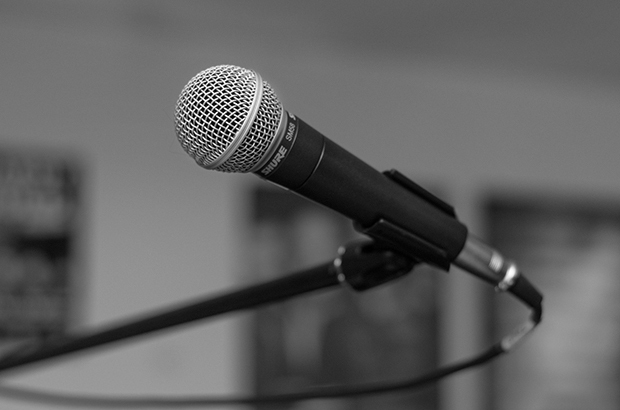 Every talk is tailored according to the needs of your audience. Review of Aboodi’s presentation to the London Coaching Group, by Martin Vogel of Vogel Wakefield.